DAMA is a Latin-inspired restaurant just launched (9 weeks ago) in the Fashion District of Downtown Los Angeles in City Market South featuring culinary dishes from Executive Chef Antonia Lofaso (Venice’s Scopa Italian Roots) and standout cocktails from Pablo Moix and Steve Livigni. Think Whole Soft Shell Crab Taco with hot pickled onions, radish, Persian cucumbers and cilantro. Also for a “Large Plate” the standout is the Crispy Pork Shank with lettuce cups, house-made warm tortillas, hot pickled vegetables and avocado crema. On the cocktail side look for Sandia y Mezcal with mezcal, watermelon, citrus and salt and pepper. Chef Antonia takes a break from her busy kitchens to join us. Please join us at the special time this Saturday afternoon from 1 to 3:00 p.m. following Fighting Irish Football. It’s not the same without you. Our favorite Mad Hungry Woman blogger, Anita Lau, has been traveling in Northern Baja. She was recently an esteemed judge at the 5th Annual Sabor de Baja, an annual food and wine pairing event staged on the lawn of the iconic Rosarita Beach Hotel overlooking the beach and blue Pacific. Sabor de Baja is a friendly culinary competition among 25 of Baja’s top chefs, each paired with the finest Mexican wines and artisanal beer producers. It’s an all-white affair. Jar, a modern chophouse in the heart of Los Angeles, dazzles Angelenos with the allure of Chef Suzanne Tracht’s familiar retro dishes from the American culinary repertoire, including her signature Pot Roast, Kansas City Steak, wild and sustainable Fish, Lemon Grass Chicken, Black Mussels with Lobster Bearnaise and Fennel Salt, award -winning French Fries, market-fresh sides and perfect martinis. It’s been an L.A. staple since 2001. Chef Suzanne Tracht is our guest. DAMA is a Latin-inspired restaurant just launched in Fashion District of Downtown Los Angeles in City Market South featuring culinary dishes from Executive Chef Antonia Lofaso (Venice’s Scopa Italian Roots) and standout cocktails from Pablo Moix and Steve Livigni. Chef Antonia takes a break from her busy kitchens to join us. Back in 2006 rising-star, fine-dining chef Dee Nguyen (Ritz-Carlton, Laguna Niguel) was looking to simplify his life and spend more time with his growing Family. He bravely branched out on his own to launch the modest Break of Dawn in Laguna Hills. Fortunately he quickly developed a loyal following of inspired guests. It’s a very personal statement for Chef Dee who serves breakfast, lunch and brunch Wednesday through Sunday only. It’s creative, fine-dining comfort foods with a Vietnamese twist. Chef Dee puts down the spatula and joins us. L.A. Kitchen, a pioneering non-profit, is again rallying Angelenos to take a stand and participate in a city-wide party (October 5 to 7) to raise awareness and fight food waste, hunger and unemployment. Shared Plates is L.A Kitchen’s anti-gala, a weekend of dinner parties for good that invites thousands of Angelenos to sit around the table in their backyards, restaurants, businesses and schools across Los Angeles. 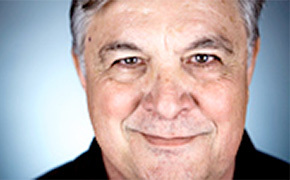 Robert Egger, L.A. Kitchen Founder & CEO sets the table for us. Jar, a modern chophouse in the heart of Los Angeles, dazzles Angelenos with the allure of Chef Suzanne Tracht’s familiar retro dishes from the American culinary repertoire, including her signature Pot Roast, Kansas City Steak, wild and sustainable Fish, Lemon Grass Chicken, Black Mussels with Lobster Bearnaise and Fennel Salt, award -winning French Fries, market-fresh sides and perfect martinis. It’s been an L.A. staple since 2001. Chef / Proprietress Suzanne Tracht is our guest. DAMA is a Latin-inspired restaurant just launched in the Fashion District of Downtown Los Angeles in City Market South featuring culinary dishes from Executive Chef Antonia Lofaso (Venice’s Scopa Italian Roots) and standout cocktails from Pablo Moix and Steve Livigni. Think Whole Soft Shell Crab Taco with hot pickled onions, radish, Persian cucumbers and cilantro. On the cocktail side look for Sandia y Mezcal with mezcal, watermelon, citrus and salt and pepper. It’s time to once again “Ask the Brewers.” Joining us in-studio is the dynamic duo of Golden Road Brewing’s distinguished Brewmaster, Victor Novak, and Anaheim Head Brewer Steven Torres. 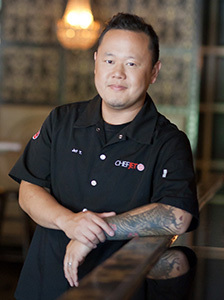 Back in 2006 rising-star, fine-dining chef Dee Nguyen (ex-Ritz-Carlton, Laguna Niguel) was looking to simplify his life and spend more time with his growing family. He bravely branched out on his own to launch the modest, 50-seat Break of Dawn in Laguna Hills. Fortunately he quickly developed a loyal following of inspired guests. It’s a very personal statement for Chef Dee who serves breakfast, lunch and brunch Wednesday through Sunday only. It’s creative, fine-dining comfort foods with a Vietnamese twist. Think the unexpected including Goat Chili with morita, goat cheese, Mexican chocolate and chickpeas. Chef Dee puts down the spatula and joins us. Ever wonder what distinguishes an aperitif from a digestif? And what their culinary function is? Well, celebrate National Aperitif Day with The Museum of the American Cocktail and wonder no more. Celebrated mixologists and restaurateurs Steve Livigni & Pablo Moix lead participants on a tasting tour of aperitifs both common and rare, neat and cocktailed. Guests will learn what they need to know to select and appreciate a fine before-dinner drink and enjoy innovative takes on Italian classics from “Top Chef” star Chef Antonia Lofaso who is also one of three regular judges on Food Network’s “Cutthroat Kitchen” with Alton Brown. For the record National Aperitif Day is actually May 18th. MOTAC is getting an early start on the festivities!